In my opinion, assuming a frame has 95% DR (Mesa), access to Adaption (any frame), and access to arcanes (any frame). You can stack so much damage reduction that you take negligible damage/can heal anything you take, while also constantly fueling your abilities. Ash will end up running out of energy far before Mesa due to invisibility mechanics. Again, this is my playstyle preference. Ash's armor strip is irrelevant when corrosive Regulators can do the same, while also striking multiple targets, while also being 50m range, while also being vastly more useable, while ALSO being attached to a frame with amazing defensive abilities. Fatal Teleport is also far, far behind Peacemaker due to its one-target kill potential. Mesa is going to insta-gib anything well above level 100 faster as long as there are more than three enemies (and when would you have a single high level enemy in a mission)? I'd wager that as enemy density grows, Mesa's damage output scales past Ash's. 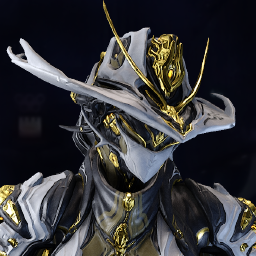 Have you ever actually tried to strip armor with Mesa's regulators? Once enemies can survive the initial onslaught of damage she puts out stripping their armor using PM takes ENTIRELY too long. Compared to an insta-strip like what Ash has it's not even close to comparable. Yes stacking damage resistances can be effective, that is until enemy damage scales to the point that taking even 3% of damage from a swarm of enemies can and will kill you not to mention explosions from bombard rockets or napalms or nullifier snipers killing you before you can process what happened and react accordingly. You﻿ can stack so much damage reduction that you take negligible damage/can heal anything you take, while also constantly fueling your abilities. Ash﻿ will ﻿end up running out of energy far before Mesa ﻿d﻿﻿u﻿e﻿ to invisibility mechanics. Again, this is my ﻿﻿playstyle preference. Fatal﻿ Teleport is also far, far behind Peacemaker due to its one-target kill potential. Mesa is going to insta-gib anything well above level 100 faster as long as there are more than three enemies (and ﻿when wou﻿ld ﻿﻿﻿you have a single high level enemy in a ﻿mission)?﻿ ﻿﻿I﻿'d wager that as enemy density grows, Mesa's﻿ damage output scales past Ash's. This statement must be bait. Mesa's regs can not instant kill level 100+ heavies. Don't care if your running 299% PS on Mesa. Ash can, with neg PS, little to no energy used, infinitely. While taking 0 damage. Your argument is straight invalid and quiet frankly ridiculous. If we use Pre nerf Ash as the bases on what gets nerfed by DE. Mesa does not equate nor come anywhere close to what Ash BS used to be and what Ash currently is. To claim otherwise is absurd. There is no debate here. Mesa is perfectly balanced and in a good place. No need for a rework, nerf or buff. She's a dps frame and ultimately does what she's supposed to do. But good luck to you and the OP in this foolish quest to nerf a balanced frame. I leave you to it.